The personal papers of Stetson Kennedy, author, folklorist, and human rights advocate, are now available online through Georgia State University Library’s Digital Collections portal. The papers are housed in the Southern Labor Archives at GSU, the largest collection of labor-related primary resources in the Southeast. 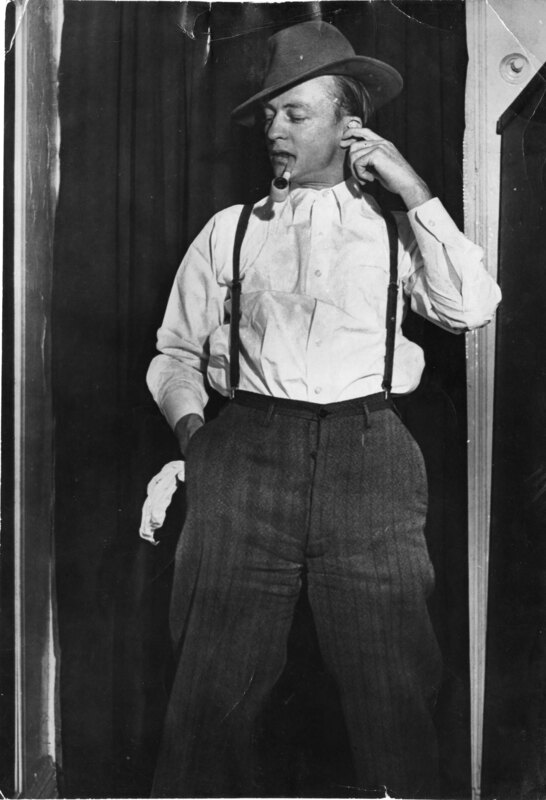 Kennedy’s career began in the 1930s with his work on the Federal Writers Project Guide to Florida. He went on to write the Florida volume in the American Folkways series (Palmetto County), Southern Exposure (1946), and Jim Crow Guide to the U.S.A. (1959). Out to expose the social and political inequities of the South in the mid-20th century, he infiltrated the Ku Klux Klan in Georgia in the 1940s. 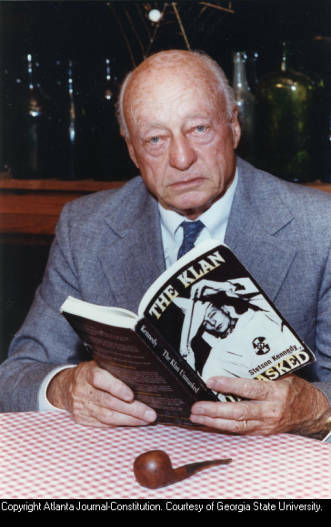 The secrets he learned in Klan meetings led to writing I Rode with the Ku Klux Klan (1954) and sharing their rituals with writers of the Adventures of Superman radio show, who incorporated the information into one of their story arcs. Because of Kennedy’s efforts, the Ku Klux Klan’s national corporate charter was revoked in 1947. The digitized collection includes correspondence, subject files, typescripts and clippings of articles written by Kennedy, bulletins and fliers, pamphlets, propaganda, and photographs. Topics within the collection include civil rights, the Ku Klux Klan, poverty, labor and anti-black violence, peonage, lynching, the Works Progress Administration, and Kennedy’s campaign for a U.S. Senate seat from Florida in 1950. The Southern Labor Archives at Georgia State University is the first repository to make its Kennedy collection available online. Other Kennedy collections can be found at the University of Florida, the Florida State Archives, the Schomburg Center for Research in Black Culture, and the University of North Carolina at Chapel Hill. The collection is available online to any interested user at no cost. Questions about the collection should be directed to Traci Drummond, archivist, Southern Labor Archives. This entry was posted in African American Studies, Digital Collections, General News, History, Primary Resources, Resources, Special Collections & Archives, Uncategorized. Bookmark the permalink.